Keith Hann - Why Oh Why? : Insurers? Don't you wish some disaster would befall them? Insurers? Don't you wish some disaster would befall them? There are very few people we are allowed to hate or abuse these days, without calling down the wrath of the thought police. Even the Welsh, the morbidly obese and people with ginger hair seem to be creeping within the safety net of protected species. 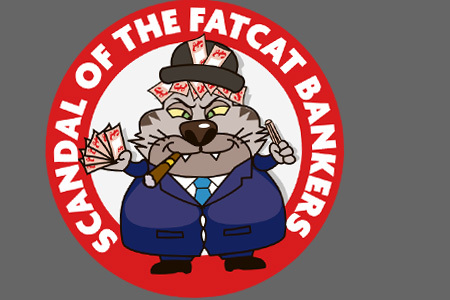 Though apparently it is still all right to loathe bankers for their obscene rewards, and for expecting us to pick up the bill when their bets go wrong. 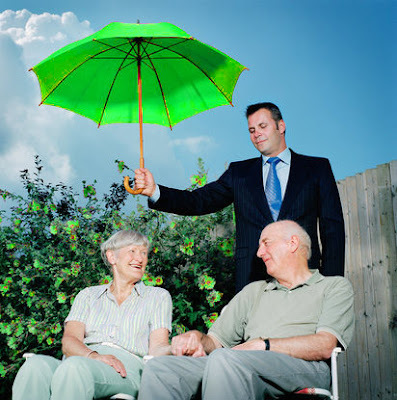 But if a banker is a man who cheerfully lends you his umbrella when the sun is shining, then demands it back when it starts to rain – well, at least you’ve had the pleasure of holding an umbrella for a while. This to my mind, puts him several steps ahead of the insurer, who takes your money in return for a solemn promise to provide an umbrella when the heavens open, then comes up with 101 reasons why he cannot supply it. Usually boiling down to some incredibly small print on page 38 of his policy document, pertaining to the definition of “rain”. A typical insurer in action, apparently. You will note that it isn't actually raining. I suppose my mind was warped by over-exposure to TV advertising in the 1950s. When we weren’t going to work on an egg and not forgetting the fruit gums, mum, we were all taking careful note of Fred, who had the reassuring strength of the insurance companies around him. As a result I have faithfully insured all my belongings ever since I was a student. In 40 years I have made just one claim on my home policy, following a visit from a very unambitious and undiscerning burglar in London. 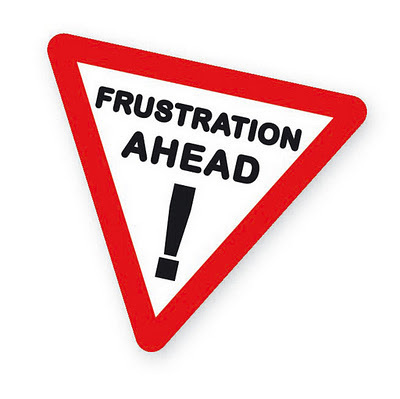 The hassle involved in persuading the insurer to accept the claim was out of all proportion to the sum recovered. Yet I kept paying the premiums, while occasionally wondering why. After all, which belongings would I actually rush to save if the house caught fire? The things that are most precious to me are those that hold memories, which means mainly photographs: priceless to me, worthless to anyone else. I possess literally thousands of books, but I doubt whether I would replace more than a handful if they went up in smoke. That goes for most of my other belongings, too. So the temptation not to insure at all is strong. But I live in a listed building which, if it disappeared, I would be obliged to restore exactly as it was. So some sort of cover against disaster seems prudent. Last year, tempted by a leaflet through my letterbox, the recommendation of a fellow columnist and the lure of a modest saving, I switched my cover to a new company. They seemed ever so friendly and helpful on the phone. They even offered to send out an assessor to ensure that all my needs were being met. Only one snag: it was obvious from the moment he walked through the door that the assessor loathed my house. He particularly disliked the combination of open fires, combustible possessions and one battery-powered smoke detector. The insurance company duly rang last week to advise that they would be cancelling my cover unless I installed a remotely monitored alarm that would automatically summon the fire brigade if it detected smoke. This is, according to the alarm companies I have consulted, a stipulation rarely made even for stately homes, let alone modest country cottages, so it seems calculated mainly to persuade me to take my business elsewhere. One could argue that it serves me right for hoping to save money on the soaring premiums demanded by my original insurer. Which the company then offered to reduce substantially if I changed my mind about leaving, as though I were bartering in some Middle Eastern souk. This chiefly taught me that loyalty is for mugs. I wonder what dear old 1950s Fred would have made of that?